Take a moment to fall back into your childhood days where the dark shadows under your bed and in the deep corner by your closet held a sinister nightmare of malicious intent upon your sweet dreams. Now, imagine that old fear you believed was extinguished walking towards you on the street today. 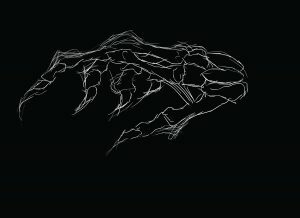 Its dark cloak billowing in the wind, horns cutting into the starry night sky, rotting, clawed hands reaching out towards you as its eyes begin to glow with an ember of rage that will never burn out. Feel the shiver crawl up your spine as your breath quickens and your eyes search the shadows in paranoia. This is the fear you thought you lost as you grew older. This is the fear that we plan to reignite within those who grew up fearing the Horned King would pay them a visit with his un-dead army in tow. 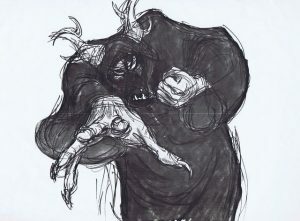 Originally based on The Chronicles of Prydain, Disney’s The Black Cauldron brought a darker edge to their usually musical and fairy godmother filled worlds by introducing frightening elements and a most notable skeletal, Horned King to cinemas with the hopes that the experiment would expand their audience to a wider demographic. 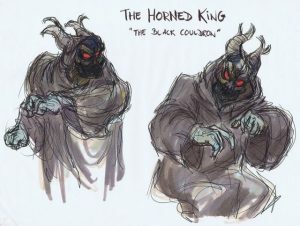 Although it was not one of Disney’s large successes, the Horned King remains a horrific figure haunting those who witnessed his villainous ways when they were younger. 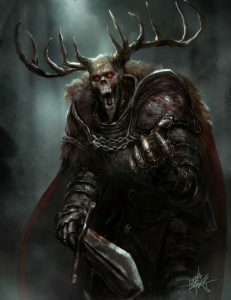 In order to recreate fear for the illusions of film making, we will be using a mixture of artistry and engineering to build multiple pieces of prosthetic makeup and costuming that an actor will be able to wear comfortably and without large limitations to their ability to become the Horned King. Our goal is to build from the old fear that Disney’s animated film pressed into its audiences with the Horned King and establish a new fear that will take the dark creature out of the 2D world and into reality using special FX makeup and prosthetics. 16 individual prosthetic makeup pieces that will be sculpted in clay, molded into reusable plaster trays, and cast in silicone to be applied to the performer’s face and hands. A set of large, unique horns that will have an intimidating presence on screen. One large, hooded cloak of deep red that “pools” around the performer. Putting our sculpting and painting abilities to the test with a new medium, silicone prosthetic makeup! With our actress lined up, measurements secured, concepts drawn, and the recent arrival of our main materials, we are ready to step into the fear that is the Horned King!